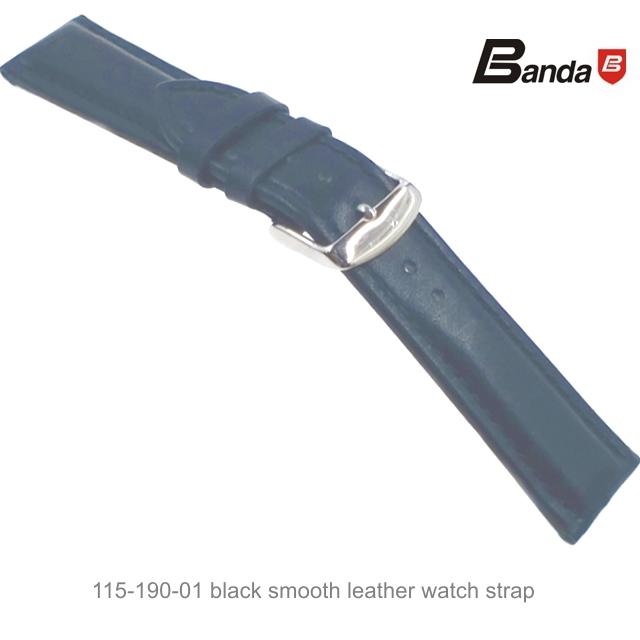 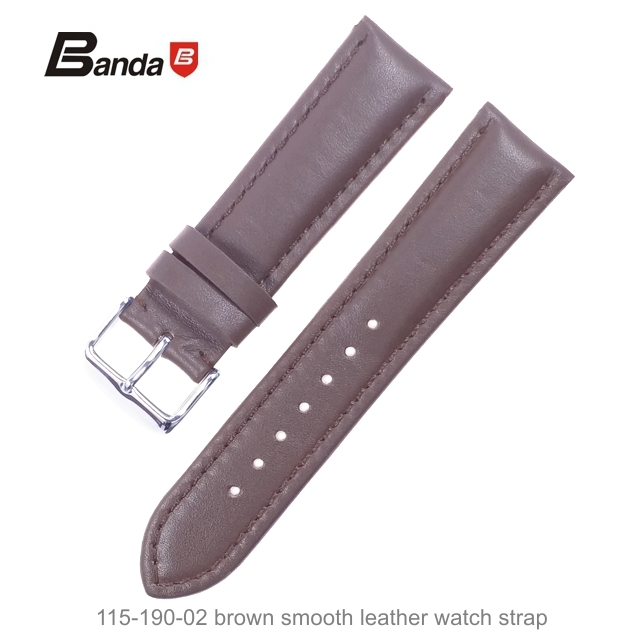 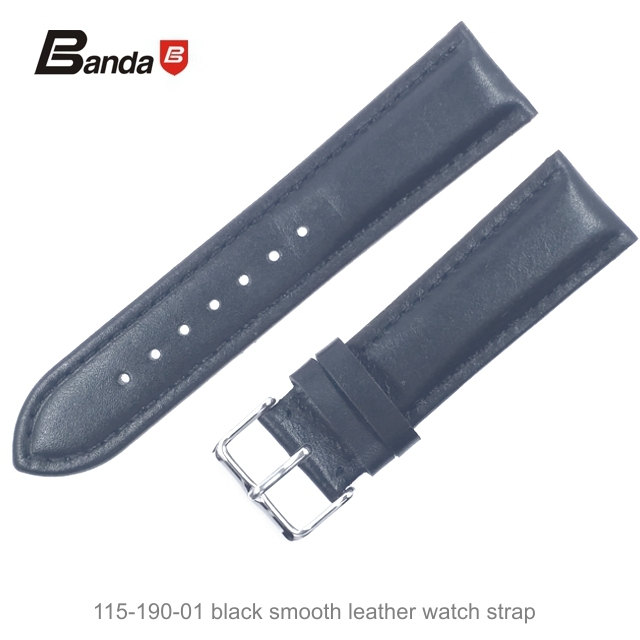 115-190-01 Classic black smooth leather watch strap. 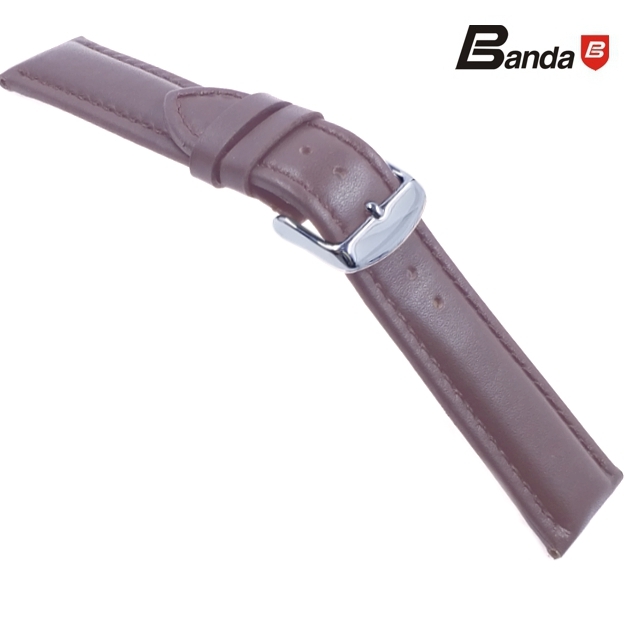 Smooth and soft calf available in a wide spectrum of colors. 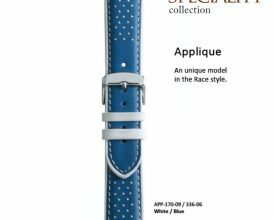 A style that matches well with every timepiece. 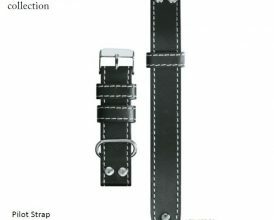 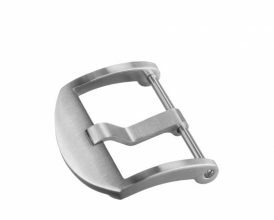 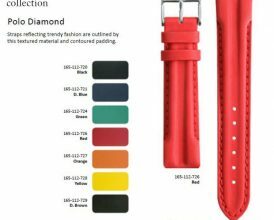 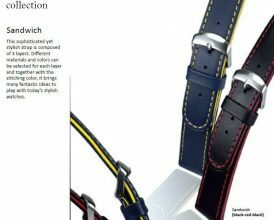 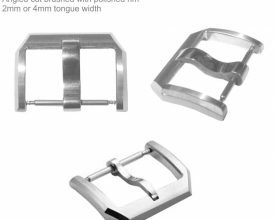 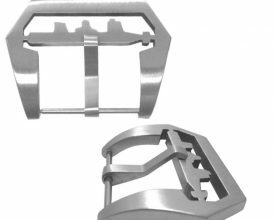 Strap custom made according to your specifications such as lug width, length, stitching colors and buckle etc. 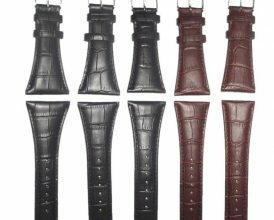 We work hard to provide consistency in the color and texture of our leathers – however, dye lots may vary from batch to batch and we cannot guarantee an exact match.